Coffee Drinkers: Would You Part With Your Favorite Mug for $375? You might have an easy moneymaker shoved away in the back of your cupboard — and not even know it. I don’t know why, but I know that as a coffee, er, enthusiast (read: addict), I understand the obsession with finding just the right mug. It’s not only about the shape of the handle or the size of the cup. Every coffee mug tells a story, and we each want ours to tell the right story. So it doesn’t surprise me that eBay found five everyday mugs that are selling for more than $50. If you’ve got one you’re not using or don’t mind parting with, you could make extra money by listing it on eBay. 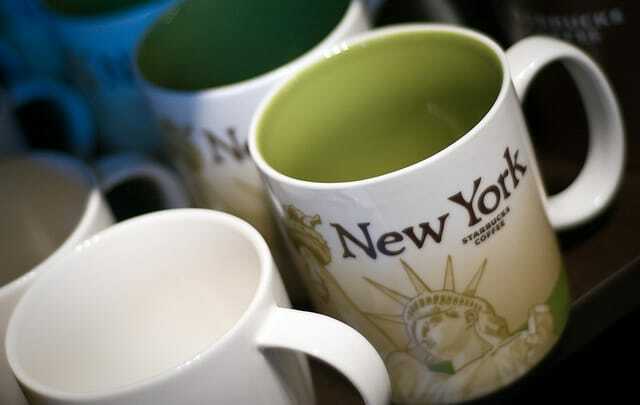 These collectible coffee souvenir coffee mugs featuring iconic images from cities around the world have been on sale since 1994. You, a friend or a family member are bound to have picked one up in your travels over the years. Depending on the destination — and the bidder — these mugs are going from $50 to over $250 on eBay. Someone you know has been to Disney World without you, and they most certainly returned with one of these coffee mugs. Or maybe the mug was your way of remembering your own trip to the most magical place on earth. Either way, if it’s been demoted to collecting dust or wasting cupboard space, put it on eBay! You could earn $50 to $80. Nothing reminds you of your age more than seeing a relic of your own childhood marked as “vintage”. Thankfully, that label often comes with a generous price tag. This mug featuring the classic AOL Running Man, for example, is commanding $60. This vintage Honda mug was sold for $375! Ready to Raid Your Cupboards? You won’t believe what these simple items are selling for. See more sought-after mugs in the full article at eBay. Your Turn: Have you made money selling collectibles on eBay? What surprising items have you seen for sale? Dana Sitar (@danasitar) is a Staff Writer at The Penny Hoarder. She’s written for Huffington Post, Entrepreneur.com, Writer’s Digest and more, and now she’s thankful for an addiction to coffee and kitsch that might mean her cupboard holds an unexpected payday!